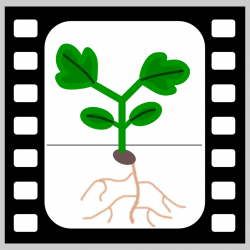 Radishes are nice for timelapse videos because they germinate and grow *very* quickly. This video is 15fps, 20 min between frames, meaning 5 hours of real time per second of video. Thus, the entire video is roughly 2 weeks long.